The pioneers of industrial-tinged extreme metal, FEAR FACTORY, have released a brand new music video for the track “Dielectric” and you can check it out on KNAC.COM right HERE. The clip was directed by Ramon Boutviseth and the song was taken from their new metallic masterpiece, Genexus. Genexus is out now worldwide via Nuclear Blast Entertainment. was produced by vocalist Burton C. Bell and guitarist Dino Cazares, and co-produced by long-time collaborator Rhys Fulber. The album was mixed by famed British producer and engineer, Andy Sneap. Artwork was once again handled by artist Anthony Clarkson. Drums on Genexus were performed by Mike Heller. 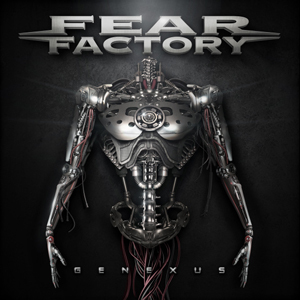 FEAR FACTORY are currently on the road promoting their Nuclear Blast Entertainment debut. VIP packages are now available exclusively online via www.FearFactory.com/Tour-Dates. Packages include a meet and greet with the band, a photo-op with the band, autographed poster, autographed set list, t-shirt, guitar pick tin set, and VIP laminate.